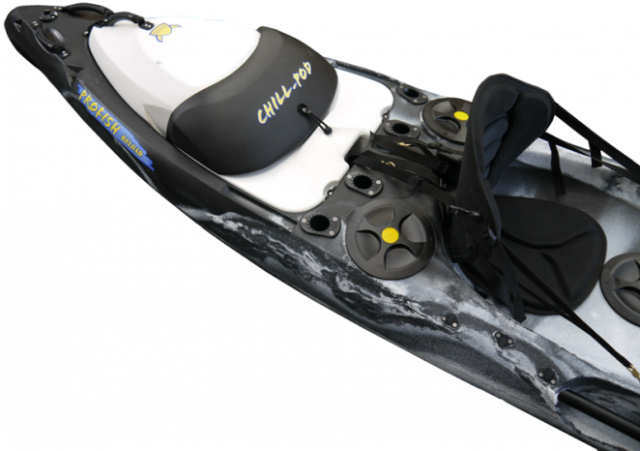 The Profish 400 is just over 13ft long and has flat chines making this kayak speedy, easy to steer and stable. 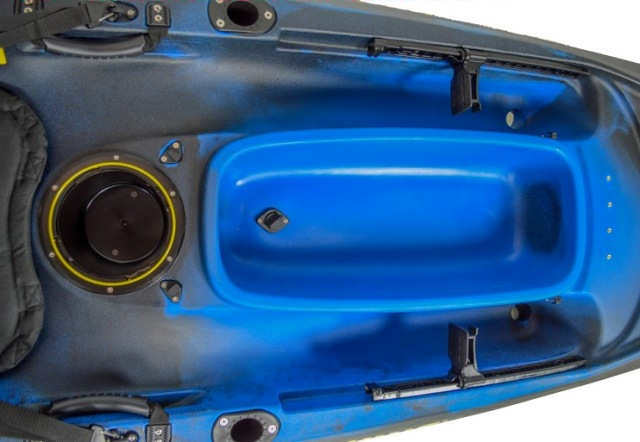 Combine this with a variety of comfortable seating options to get one of the best touring sit on top kayaks on the market. The Viking Profish 400 been designed and manufactured in New Zealand. This kayak is the perfect choice for those looking for a light weight boat that still has all key features needed to get the most out of your time on the water fishing or touring. The Profish 400 is just over 13ft long and has flat chines making this kayak speedy, easy to steer and stable. Combine this with a variety of comfortable seating options, and you get one of the best touring sit on top kayaks on the market. The Profish 400 sides have been scalloped to allow greater paddling efficiency while allowing maximum stability for all paddlers abilities. The Profish 400 is rudder ready and you can add a rudder (Sold Separately) at any point . You can also add the Optional Kids Pod System and Chill Pod™ System (Both Sold Separately). 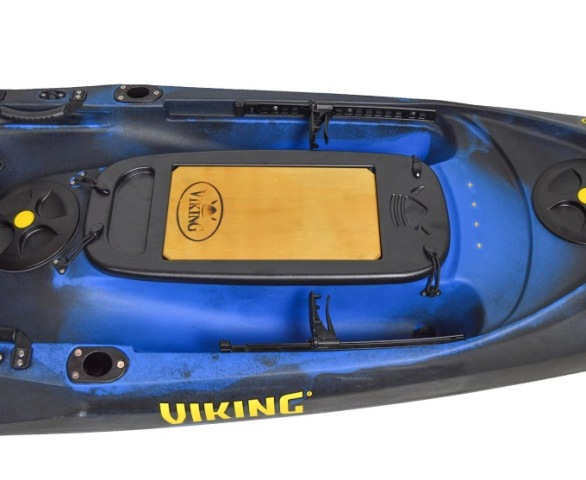 The Viking Profish 400 does not include a seat or paddle, we do stock a wide range so feelfree to take a look at our Kayaking Paddles & Sit On Top Seats. Need a tackle pod, but like the look of the Profish 400 lite? 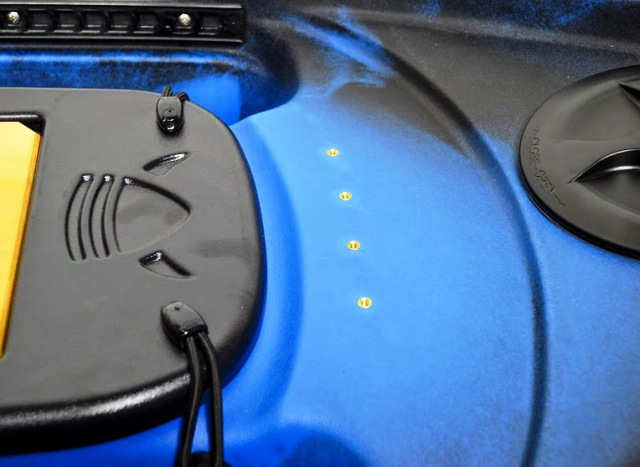 No need to worry viking thought of that so they have designed a tackle pod that will fit to the Profish 400 Lite, keeping all your tackle together, making life easy. We offer a delivery service for the Viking Profish 400 (2017) throughout the UK & Ireland to home and work addresses. If you are local to our shop in Hamworthy, Poole then we may be able to deliver a Viking Profish 400 (2017) with one of our own vehicles. For boats, this is free to most BH Postcodes - please call us on 01202 625256 to discuss your requirements. Buy a Viking Profish 400 (2017) online from our website and collect from our shop in Hamworthy, Poole or you can collect from any branch within the Canoe Shops Group. There is no cost associated with instore collection.